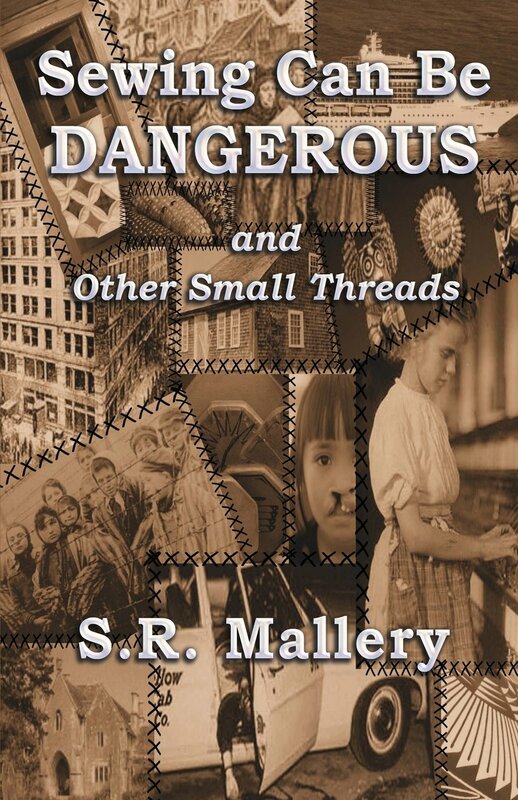 The eleven long short stories in Sewing Can Be Dangerous and Other Small Threads combine history, mystery, action and/or romance, and range from drug trafficking using Guatemalan hand-woven wallets, to an Antebellum U.S. slave using codes in her quilts as a message system to freedom; from an ex-journalist and her Hopi Indian maid solving a cold case together involving Katchina spirits, to a couple hiding Christian passports in a comforter in Nazi Germany; from a wedding quilt curse dating back to the Salem Witchcraft Trials, to a mystery involving a young seamstress in the infamous Triangle Shirtwaist Factory fire; from a 1980s Romeo and Juliet romance between a rising Wall Street financial star and an eclectic fiber artist, to a Haight-Asbury love affair between a professor and a beautiful macrami artist gone horribly askew, just to name a few. Unexpected Gifts, her debut novel, is currently available on Amazon. Sewing Can Be Dangerous and Other Small Threads, her collection of short stories, was released in Jan. 2014. Both books are from Mockingbird Lane Press. I don’t sew. I mean, I can hem pants if I really have to, and I can sew a button on, or make basic curtains, but I don’t have the love of fabric that real sewists (my mother’s word) have. I grew up in a house, however, where going barefoot meant you’d probably end up impaled by a straight pin, or three, and background noise nearly always included the cozy hum of a sewing machine’s flywheel punctuated by my mother’s cursing whenever something didn’t go according to plan. Despite not being a creator of fiber arts, myself, I have dabbled in crewel embroidery (and still do on rare occasions), I’ve tried to learn to knit (I had an excellent teacher, I am incapable of relaxing my grip enough), and I’m fascinated by quilting, and really will try it one day. The mostly-straight lines I can cope with, but quilting also involves math, and geometry was never my favorite subject. I planned to read this book in the bath over a few days, but the first story hooked me so deeply that I was absorbed by Mallery’s prose and forgot to fill the tub. Also, like potato chips, you cannot (well, I cannot) read just one short story, so I had to keep going. Before I knew it, I’d read away a whole night, and only the fact that I didn’t have a bright enough light made me put this book down. My favorite piece is the the second story, which is about quilts and curses, and appealed to my love of all things spooky and dark, but every single story is a gem – or, more accurately, a hand-sewn bead among a collection of hand-sewn beads. Mallery’s voice is clear and consistent even when moods and tones are radically different, and it was lovely having so many different women as protagonists. Many of these stories could easily be expanded into longer works, if the author chose to do so, but they also stand well in their current format. Read this for yourself, even if you don’t sew. And buy a copy for a woman in your life who does sew, because she’ll love it. Goes well with Bold dark coffee laced with egg nog and mince pie served slightly warm. This review is part of a blog tour sponsored by Historical Fiction Virtual Book Tours. For the complete list of tour stops, see below. For more information, click HERE.